Satirical newscast, created by Madeleine Smithberg and Lizz Winstead. 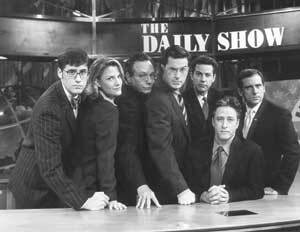 Anchored by Craig Kilborn 1996-98, Jon Stewart 1998-2015, and Trevor Noah 2015-present. Olivia Munn Actor 3-Jul-1980 Attack of the Show!